The BMW 7-Series comes in several trims, 740i and 740i xDrive, 750i and 750i xDrive, 740e xDrive and Alpina B7 xDrive. The 740i models are powered by a 3.0L turbocharged inline-six that produces 320 horsepower, with power sent to the rear wheels via an 8-speed automatic transmission. The 750i gets a 4.4L twin-turbocharged V8 engine making 445 horsepower. An 8-speed automatic feeds the power to all four wheels. The new 740e xDrive plug-in hybrid pairs a 255-horsepower twin-turbocharged 2.0L four with a 111-horsepower eDrive electric motor, with a total output rated at 322 horsepower. BMW says the 740e will hit 60 mph in just over five seconds and the car can run purely on battery power for up to 28 miles. In the high-performance Alpina B7, the same 4.4L twin-turbo from the 750i has been massaged to deliver 600 horsepower, while Integral Active Steering pairs variable ratio electric steering up front with rear-axle steering. BMW claims a 0-60 mph time of 3.6 seconds from the B7. 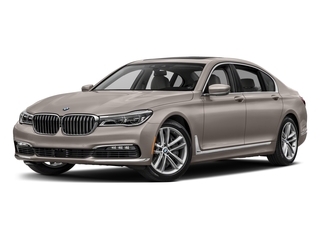 The BMW 7-Series starts at about $83,000, competing against the largest and most luxurious European sedans such as the Mercedes-Benz S-Class and the Audi A7. The 7-Series is nearly as nice as similar-sized offerings from Bentley and Rolls-Royce, without those nameplates' premium prices. The 7-Series offers a much more understated appearance as well. Though obviously not inexpensive, the 2018 BMW 7-Series includes impressive levels of technology, power and space. There are no tricks or gimmicks here, the BMW 7-Series looks and feels like a $100,000 vehicle in every single way.